As I finished at the office quicker than expected it seemed a good idea to provide the promised details about the first Chillin’ on Beale Street of the season rather than wait until after my visit to the dentist office. I have a few other items to share that might also be of interest. One of the more interesting aspects of Route 66 is that the fascination with it is international and as a result it allows small town America to engage in an intimate cultural exchange with people from throughout the world. This was evidenced at Saturday evenings Chillin’ on Beale Street and the interaction with the group from Australia led by Dale Butel. 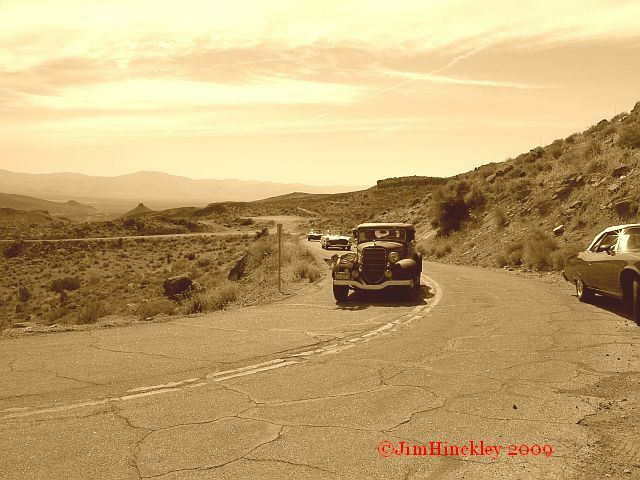 I derive a great deal of pleasure in sharing Route 66 and the secrets of the desert southwest with others and from seeing these places from the perspective of those experiencing it for the first time. I also enjoy vintage cars, good friends, and friendly banter under a starlit desert sky. So, for me, Saturday evening was absolutely perfect. As noted previously, I was amazed by the diversity of vehicles that were on display. There were several Model T Fords, the usual ’57 Chevies and hot rods, a 1960 El Camino, a beautiful 1950 Ford, and an even nicer De Soto sedan. 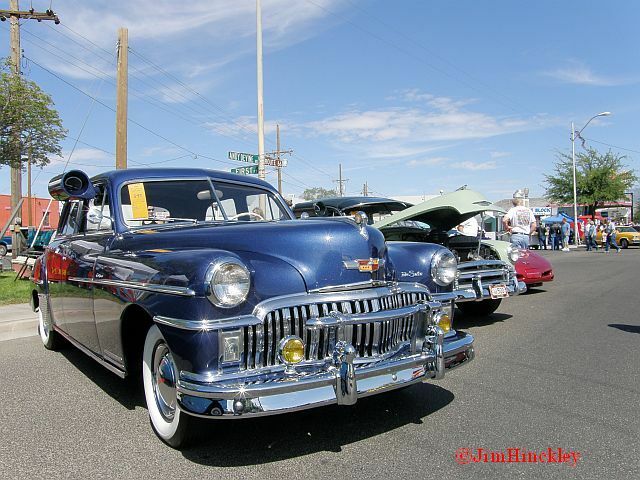 With historic buildings as a backdrop and the scene framed by the stunning Kingman skyline and the last rays of an Arizona sunset glinting off vintage chrome the scene was picture perfect. Not captured by photos were the wonderful temperatures and the friendly, relaxed atmosphere. The next Chillin’ on Beale Street is scheduled for the evening of May 15. Needless to say, I am looking forward to that date with eager participation. An even more exciting event, the Route 66 Fun Run, kicks off on April 30. 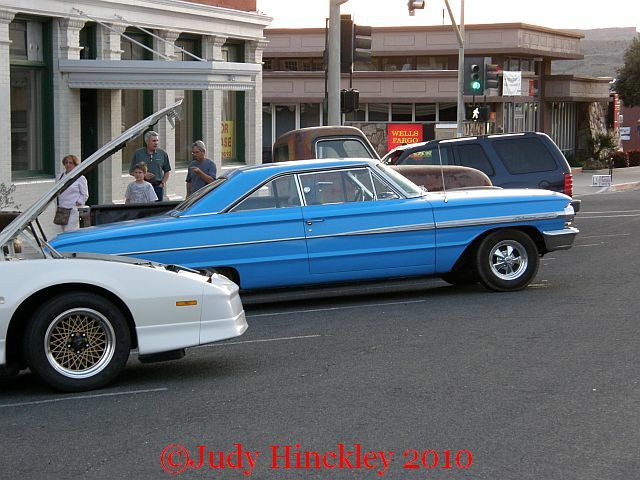 This is, in my humble opinion, one of the most exciting events on Route 66. This three day, 180 mile block party celebrates America’s love affair with the automobile on its most iconic highway, Route 66. One aspect of the event that I have always enjoyed is the diversity of vehicles cruising the double six during the event. In years past I have watched a 1910 Cadillac climb Sitgreaves Pass, talked to folks who live in a converted Greyhound Scenicruiser bus, and another couple that drove a 1934 Chevrolet all the way from Vermont. Here are a couple of photos taken at the 2008 Fun Run. In an unrelated note, Route 66 News has been carrying several fascinating features about pedestrian tunnels under Route 66. Do you have any in your town? The final note of the day is more shameless self promotion. Ghost Towns of the Southwest is heaed for a second printing in May! To everyone who has purchased a copy, thank you. If time allows, I would be appreciative of shared impressions.